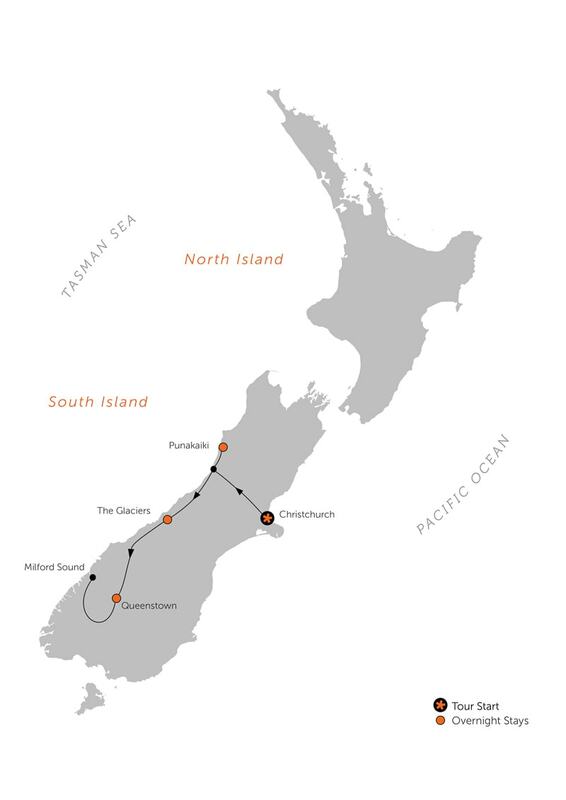 The nine-day Southern Alps road trip takes you on a glorious ride from the sea to the mountains and back again, culminating in a Milford Sound excursion where the two connect in a perfect finale. 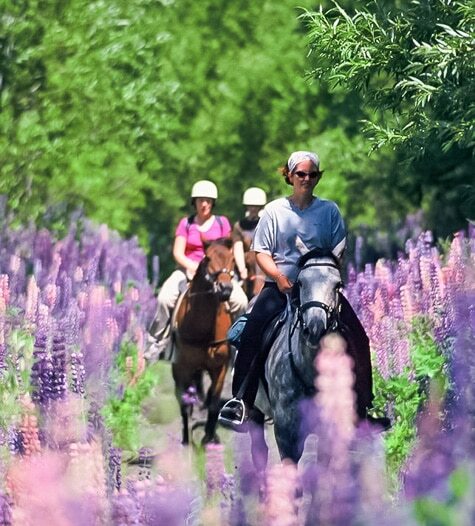 Optional activities allow you to customize your trip and make the most of each diverse region, be it walking on glaciers or sipping wine amongst the vines. Based on 2 ppl, double occupancy. Prices vary depending on season. Request Your Date for exact pricing and a range of activity add-ons. If you already have a dream in mind, our Travel Shepherds await the challenge of bringing it to fruition. Request a Custom Quote based on your interests. 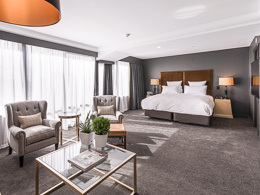 A full-service hotel based in Cathedral Square, in the very heart of the city. 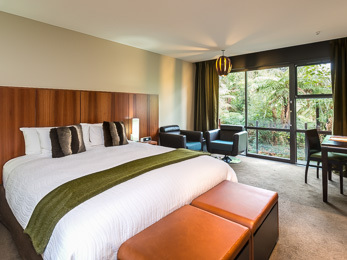 Bright, modern rooms offer a comfortable base whilst you explore the Garden City. 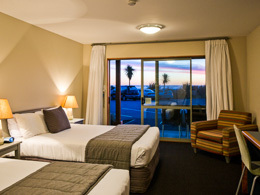 You will be transferred to your hotel on arrival where a Black Sheep Touring Co. representative will meet you for an orientation on your self drive tour and to talk about travel in New Zealand. The remainder of the day is free to explore what is described as the most English of New Zealand's cities. Your trip notes will advise on Christchurch highlights so you can make the most of your time there. A stylish eco-resort set between rainforest and sea. This Classic Stay property is perfectly placed to experience the wild landscape of the West Coast in an environmentally sensitive setting. Collect your rental car and depart Christchurch, driving inland over the glorious Southern Alps. Cross alpine rivers and wind beneath snow-capped peaks before descending to the wild West Coast region and winding your way to your seaside accommodation. Explore hidden tracks and natural features outlined in your trip notes and enjoy the bounty of talented craftspeople here. 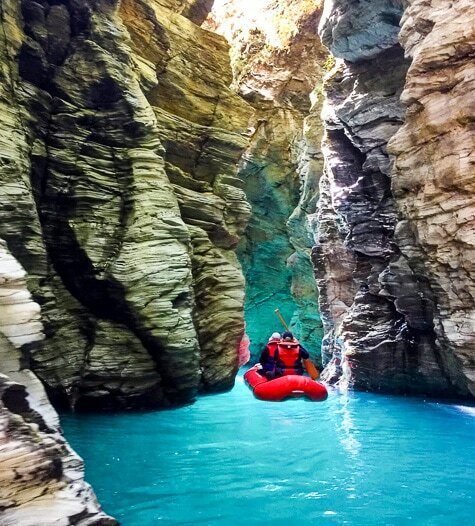 This part of the South Island is honeycombed with intricate cave systems which can be explored in a choice of ways, from scenic caving to adventure caving to New Zealand's unforgettable cave rafting. Request a Detailed Itinerary for options on this day, including above-ground alternatives. 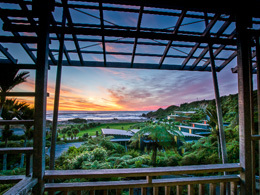 A serene, environmentally sensitive resort surrounded by native rainforest near Franz Josef Glacier. The ambience, attentive service and exquisite dining set in the forest canopy create a unique, peaceful retreat. 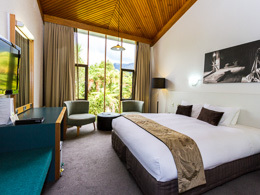 A full-service hotel located in Franz Josef village. The scenic alpine setting on the edge of the Westland World Heritage Park, within easy access to Franz Josef Glacier, makes this an ideal base from which to explore. This morning is a spectacular drive to New Zealand's glacier region where you'll be based for the next two nights. Enjoy comfortable accommodation in a quaint alpine village with mountain views and rainforest paths. Your trip notes recommend the best way to make the most of this spectacular region. 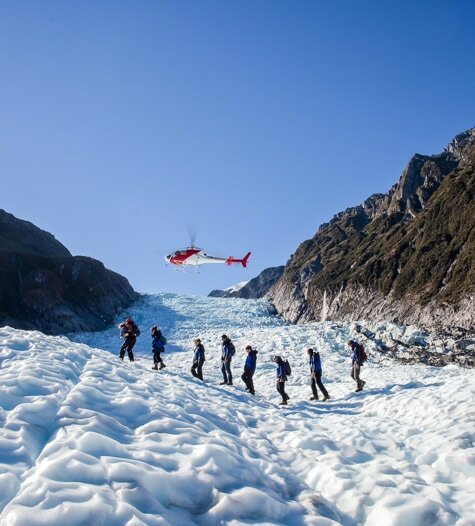 Walk along the glacial riverbed to view the impressive terminal face of Franz Josef or Fox Glacier and explore additional trails through neighbouring ancient rainforest. Optional activities allow you access to the glacier, including a variety of glacier hikes and a heli-flight that lands you on the neve. 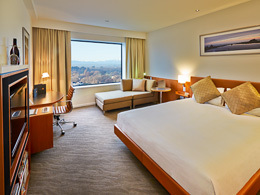 A full-service hotel based a short stroll from the centre of Queenstown. An onsite luxury spa, complimentary guest parking and more make for a comfortable, convenient stay. 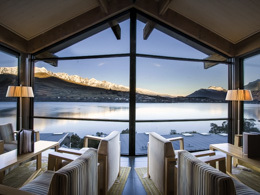 This morning, embark on a stunning drive to Queenstown. Your notes identify sensational hidden walks and scenic stops along the way. 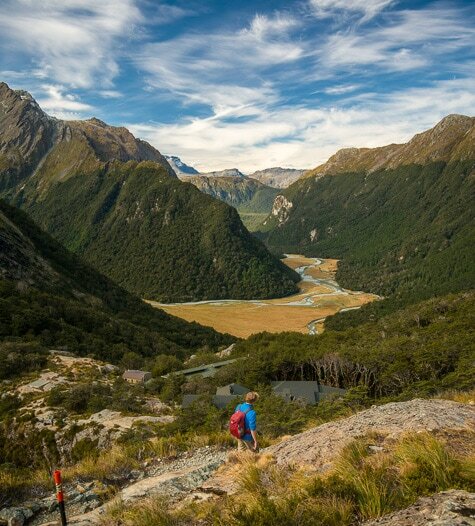 Dense rainforest gives way to the stark mountains of the Mt Aspiring National Park as you enter the Otago region. 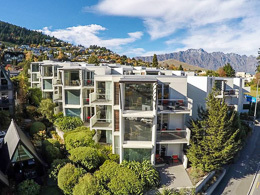 Queenstown, resting on beautiful Lake Wakatipu and flanked by the aptly named The Remarkables range is a stunning setting in which to stay for your remaining three nights. Queenstown is New Zealand's adrenalin center. There is a wide range of optional activities available, including jetboating, horse trekking, whitewater rafting, sky diving, four-wheel-drive adventures, and bungy jumping, or more leisurely pursuits such as walking, fishing and wine trails. Talk to your Black Sheep Travel Shepherd about available options. Today, we have included a coach excursion into spectacular Fiordland National Park and Milford Sound. Letting someone else do the driving optimizes your ability to take in the otherworldly scenery. 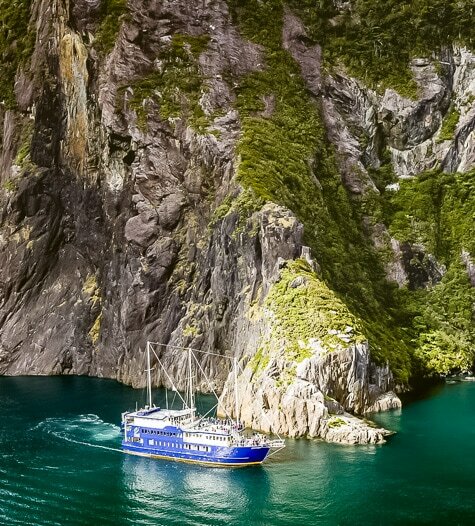 At Milford Sound, board your vessel and cruise the length of the fiord out to the Tasman Sea, passing alongside thundering waterfalls and lounging fur seals. 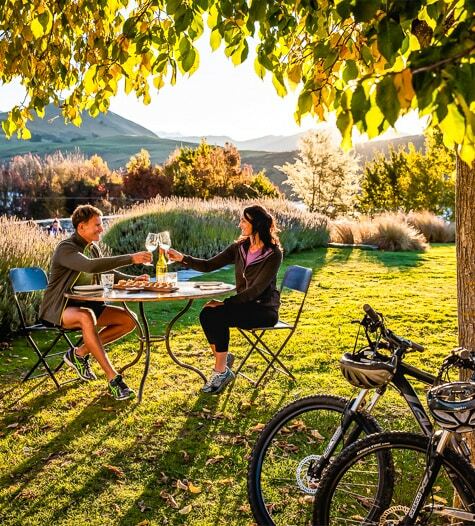 Depending on your flight schedule, you'll have time to relax and make final purchases before dropping your rental car at Queenstown airport and travelling home or to your next destination--perhaps a Black Sheep North Island adventure? 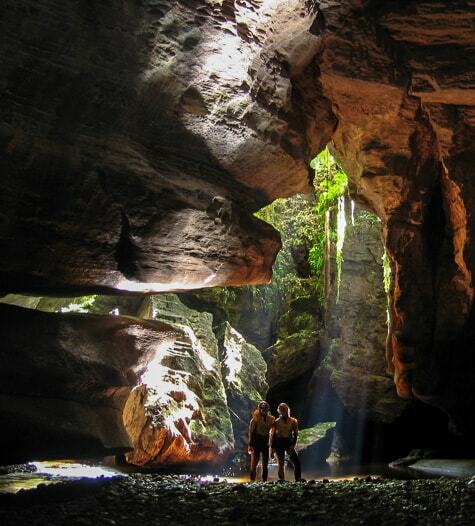 Trip Inclusions below lists any activities included in your Self Drive itinerary. 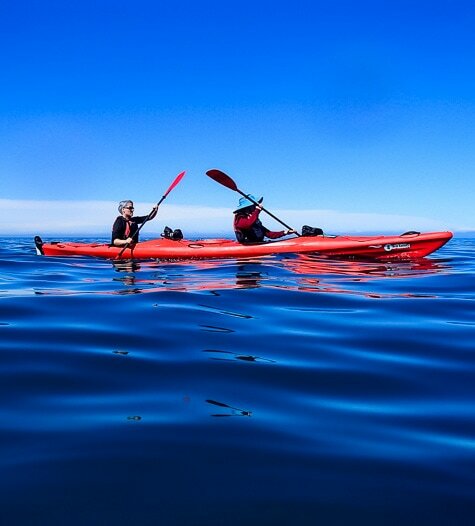 There’s also a huge range of adventures you can add to enrich your trip even more, some of which are pictured here. Request a Detailed Itinerary for a choice of options. Of course, a successful road trip is more than just your hands on the wheel and the wind in your hair. See below for the inclusions in your Self Drive journey—inclusions that take the stress out of your trip, so all you have to do is worry about that hairdo. Included meals as outlined in your itinerary. Meal inclusions may change based on hotel availability. WORDS CAN’T DESCRIBE HOW PERFECT OUR TRIP WAS.